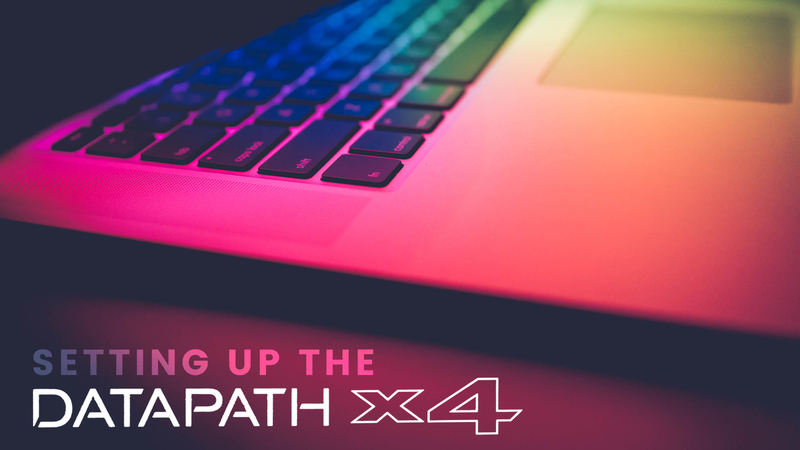 Unlock the simplicity of setting up and configuring the DataPath X4 with these four easy to follow videos. TripleWide Media founder Luke McElroy, walks us through the basics, setup, computer settings, and pixel mapping specifications for the DataPath X4. Taking the TripleHead2Go to the next level by offering more functionality, consistency, and reliability, the DataPath X4 is the multiscreen processor you need for your environments. The goal is to help any organization with any budget create an amazing environment in each unique space. Whether it’s a 100 seat room or a 3,000 seat room, this course is perfect for every church tech looking to implement environmental projection into their space. Luke walks us through each piece of gear used and needed to create these amazing environments. Additionally, we are providing a step by step guide that goes alongside the video and a 2-page worksheet to help you learn and retain all the information in order to help your whole team take creativity to the next level. To download this free resource, simply click the button to fill out the form to join the TripleWide Media mailing list! You’ll receive a download link immediately. If you want to share this free resource, please share this page (not the download link in your inbox) so we can continue to giveaway great resources.